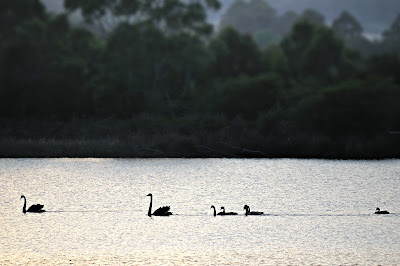 Having watched the swan family for some time, they had become quite used to me. I think they are also accustomed to people handing them food, as they have a tendency to swim up with an expectant air about them. I didn't see them for some time, as they weren't around the Wooden Boat School when I was. Then on the morning of 10th January. a week ago, I saw them returning from downriver. 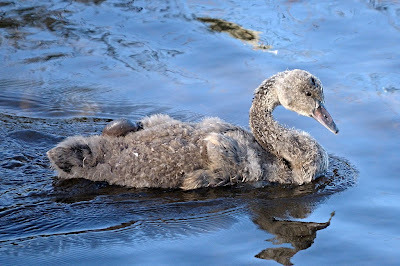 One of the cygnets appeared to be asserting his independence, swimming apart from the group, and doing his own thing. It became apparent that he was actually injured in some way. He was swimming with only one leg, the other was draped somewhat uselessly either in the water or along his back. This gave him a very ungainly swimming style. The family appeared to be a bit impatient with him, but the adults waited for him and hung about. Most of my photos of him were blurry - he wasn't staying still, but in a couple he looked like he had some fishing line tangled round him. 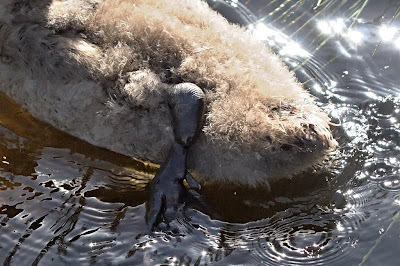 I returned in the afternoon, to find him slumped on a mudbank near the Wooden Boat School, where he was obsessively scrtaching away at his breast with his beak. At times he appeared frenzied. It was hard to tell, but his leg did appear like it might have fishing line wound tightly around it. I noticed that his siblings were pecking at him. The adults were just hanging around. I thought he was a goner. A lady on a nearby boat started to feed the rest of the family some bread, and at this he hauled himself across the little inlet and started to try to compete for some. He didn't do well. 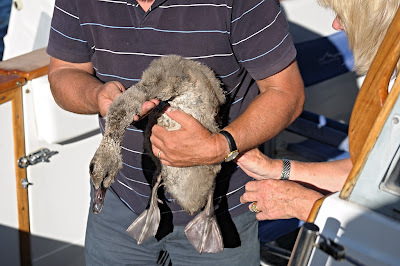 I wandered over and had a chat to the couple of the boat, pointing out that one of the cygnets appeared to have a damaged leg, possibly with fishing line. 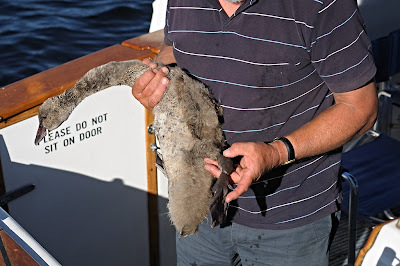 Being closer to the water, the bloke looked more closely, and then managed to grab him. 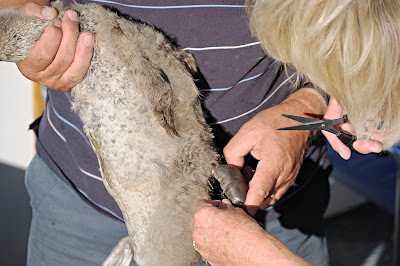 They proceeded to remove a couple of meters of fishing line snarl which had wrapped around his leg, at least twice, his body, his neck and just about everywhere else. Very tight turns around his upper leg had to be cut off. 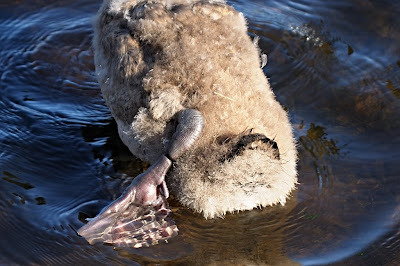 On release, he was obviously a little better, but his leg was still draped behind him, and still appeared useless.